garden remix. | there's no place like gnome. 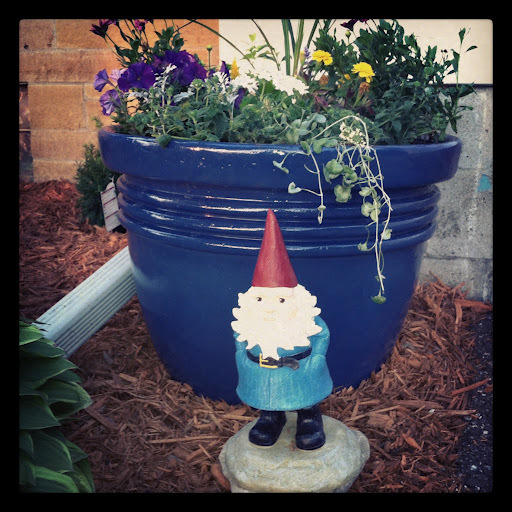 one of the two big blue pots on either side of the front garden. It’s a bit delayed in sharing but my mum was around last weekend and we had one goal: to make the parsonage gardens bee-u-tiful. 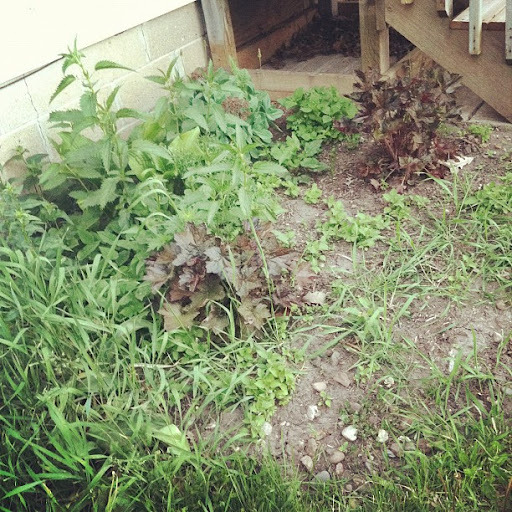 It was a lofty goal for two days – the gardens were a wretched mess because I couldn’t even differentiate what was a plant and what was a weed. 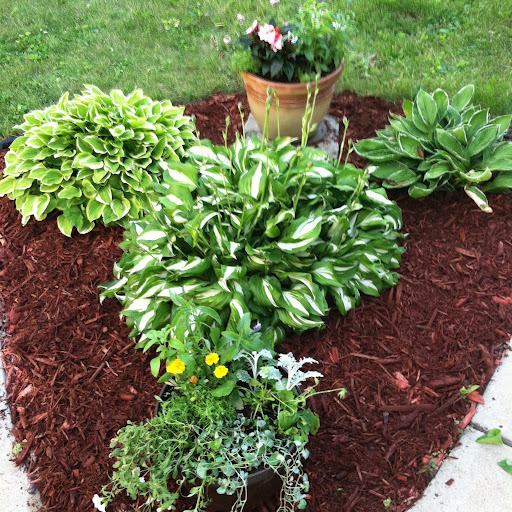 I called in the right person for the job and after five stores, a truckload of mulch, and long days, it came together. 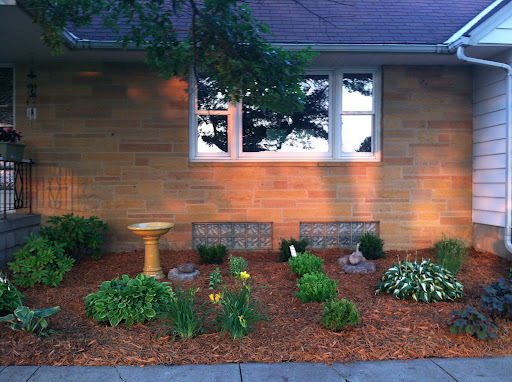 We added some new plants, moved some others around, and Pastor Lindsay bought a bird bath. The final product is quite lovely, wouldn’t you say? a corner garden with two new pots. 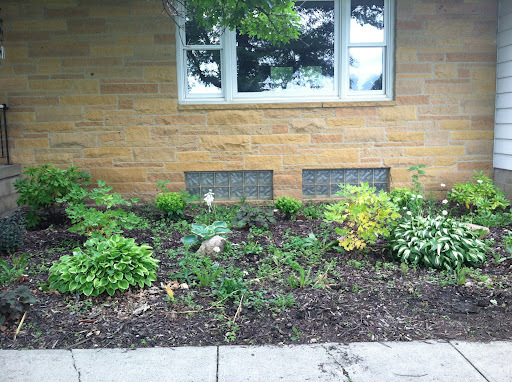 Not pictured is the small bed we [read: Leanne] dug around the mailbox for a couple hostas and stone. 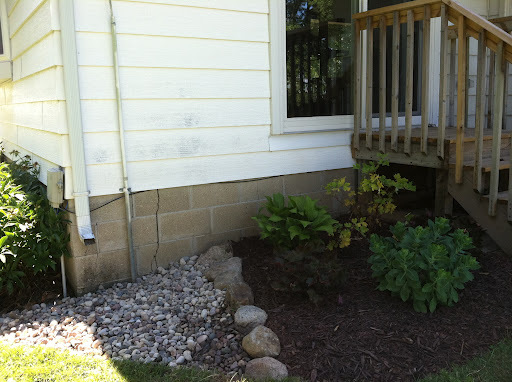 There is still work to do – a little mulching around the garage and maybe edging out a bush. All in good time as Lindsay gets the nerve and time to dig in. This parsonage’s landscaping is well on its way to being top notch. Categories goals., new house., outdoors., visitors.